Since I started writing for Northwest Prep Report fifteen months ago I have I have tried to uncover some hidden gems here on the east side of the state of Washington. Players that college coaches might not have known about, guys who were flying way under the radar who needed some exposure. I also learned that in the eastern side of the state of Washington, the Class 2A Classification (which would be considered small school football merely based on the enrollment of the student body), surprisingly produces a very high percentage of the Division 1 college football players each year in this region. Isaiah Perez is a young man in Othello, WA. who is only in his junior season of high school football but he is not below the radar at all. 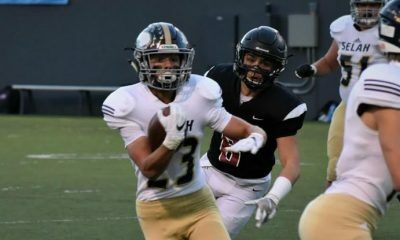 This guy is a big-time college football recruit and he has already received two Division 1 college football offers, one from Brigham Young University (Division 1 FBS school) and 1 from Howard University (Division 1 FCS school). Many people might not understand or appreciate how rare it is for a kid from the Eastern side of our state, let alone a kid from a Class 2A Classification school, to receive a Division 1 FBS and Division 1 FCS scholarship BEFORE the end of his junior season of football. It is very rare and doesn’t happen very often for kids on this side of the state. Isaiah is a 6’ 3” 245lb. class of 2020 Linebacker, Defensive End, Fullback, Tight End. 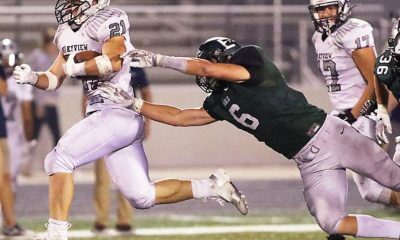 Last season as only a sophomore he was named the Defensive MVP for his conference, as well as First Team All-Conference at Defensive End and Second Team All-Conference at Running Back. Isaiah is the true definition of a throwback three-sport stud athlete as he also is a great Wrestler, he won the WIAA State Wrestling Title last year as only a sophomore. That is impressive to be a state champ in an individual sport as a sophomore. That tells you what kind of a winner and dedicated athlete you are dealing with when you speak of Isaiah Perez. Isaiah also excels in the throwing events on the Track and Field team where he finished seventh place at the WIAA State Track Meet last season as a sophomore. Isaiah is also doing solid work in the classroom as he holds a 2.87 cumulative GPA. I have attached Isaiah’s sophomore season highlights and his four-game highlights from the midpoint of this his junior season below. In his sophomore season highlight film in the first 5 plays of the film, you will see the speed, athleticism, and physicality necessary for a Division 1 college football player. 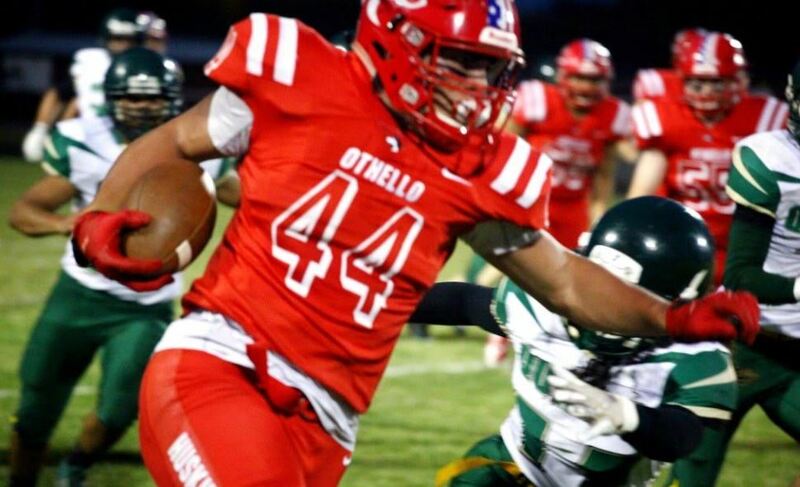 In his four-game mid-season junior year highlight film at the 1:38 mark of film you see a linebacker with the ability to diagnose a run play and come screaming through the gap to meet the ballcarrier and the physicality to dominate the ball carrier. At the 2:13 and 2:22 marks of the film you see a linebacker who possesses great sideline to sideline high motor speed. At the 3:03 mark you see a fullback willing to lead block with bone-crushing physicality. The last play of the film you see Isaiah at Tight End and you see the athleticism to adjust his body and make a diving catch for a touchdown. 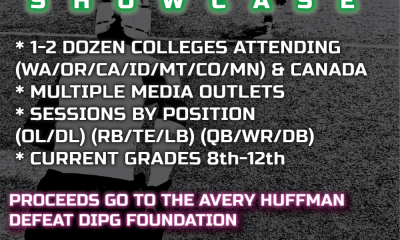 These qualities that show up on his film are all qualities that are required to play inside the box on the offensive or defensive side of the ball at the Division 1 level of college football. Isaiah has done a great job in the offseason preparing his body to be a high-level high school player and a high-level college football recruit. He has a hand-timed a 40-yard dash of 4.85 seconds, he has a max bench press of 335 pounds, max squat of 450 pounds, max deadlift of 500 pounds. Be prepared to see these marks absolutely explode this upcoming offseason going into his senior year. Isaiah has very impressive family bloodlines. 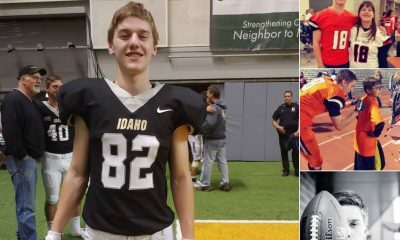 His mother participated in the throwing events on the track and field team at Eastern Washington University and he has two uncles who played for Brigham Young University and one of those uncles played in the NFL for the Oakland Raiders. On the recruiting side of things, Isaiah, as I mentioned earlier, has received full scholarship offers already from BYU and Howard University. But there are other Division 1 schools that are making Isaiah a priority as well. Isaiah said “I am hearing from Purdue University a lot and Washington State University. I have also heard from Stanford, UCLA, University of Oregon, Northwestern University, Eastern Washington University, and Weber State University. That is an impressive start to his college recruiting for someone with a year and a half left of high school football left to still play. I think Isaiah will be one of if not the highest recruits in the eastern side of Washington for the Class of 2020. We want to wish Isaiah the best of luck as he plays the last season and a half of high school football and prepares himself for his college football career. We look forward to following Isaiah throughout the process and his journey. In 2004 and 2005 I met a kid named Ndamukong Suh. His rise through the ranks to the #1 Draft Pick in the NFL was something I had a first-row seat for. But he was not in the top 10, nor 20, nor 30, nor top 50 in his class. One of the reasons was the Pacific NW was not thought of as a place with “tough kids” or highly recruitable players. When I saw that and was coaching and saw the talent being left behind I made a move. With the encouragement of guys like the great Chris Fetters of Scout.com and Tom Lemming, I made (forced) my way into the Rivals.com system. The goal was to find the kids and fill the pipeline (at that time no twitter / IG / Facebook) with stories. I have written over 6,000 pieces at one time writing 3 a day. What I did was realize the need and I helped make the NW brand of football one of excellence and one of National relevance, filling the void and changing minds. A few of us started all of this effort. The kids were always here – but now stories get written, rewritten and regurgitated by dozens and dozens of self-proclaimed experts. The real dudes, the talent if you will, includes our staff, Chris Fetters, Ryland Spencer, Scott Eklund, Brandon Huffman for sure, Greg Biggins, and a handful of others. If you players are lucky enough to catch our eyes pay it forward. We are here to help – NOT HYPE – and this story is a perfect example. Coach Demian Walter is an unpaid analyst, like me, and is changing lives and aiding kids in making it to college on a fully paid scholarship. He is now a very big part of the efforts mentioned above and is a difference maker. A true Influencer- that is the most powerful sort of person anyone could ever hope to become!